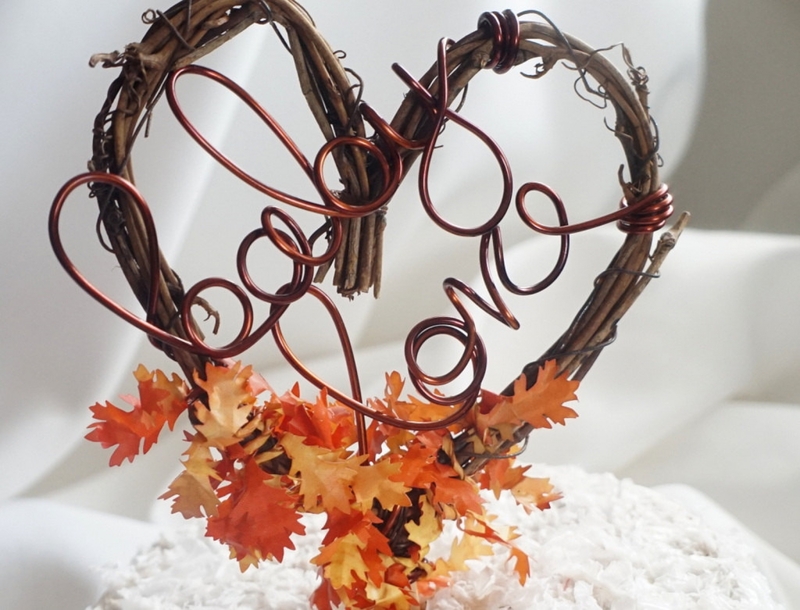 A rustic detail for your Fall baby shower decor. 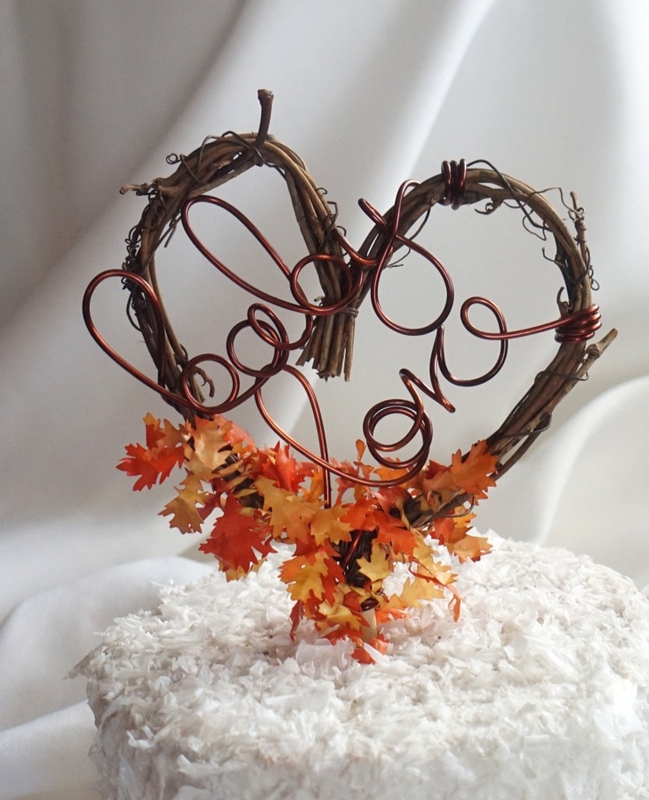 This vine cake topper features a hand scripted "baby love" text inside. it is approximately 4 inches in width and perfect for a 6 inch or smaller cake. 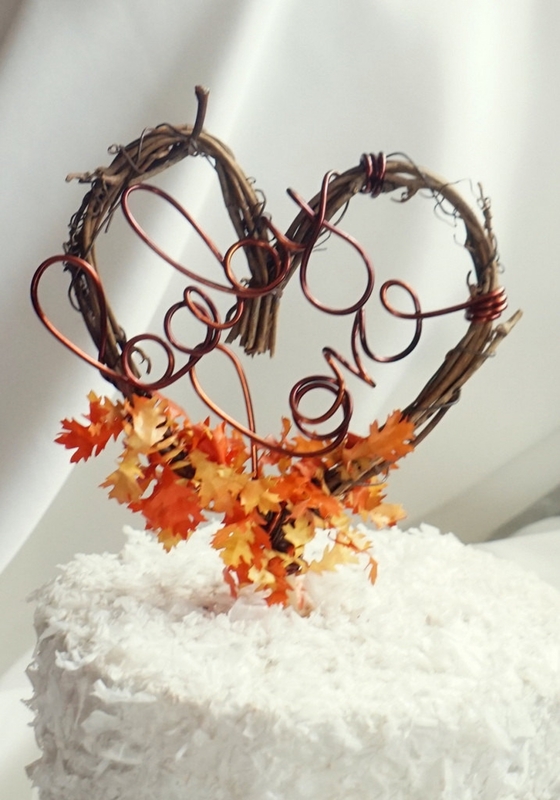 Made out of grapevine, artificial fall colored leaves and non tarnish wire.